This was a while back, when the last HOF slots was active, but I was betting a simple 100 and managed to hit a major jackpot. Well the jackpot paid out like over 25 million. How did this happen? My best guess is a glitch. But I have always wondered if anyone else had experience something like this. I also plan on trying to do it again next time the HOF slots is open. 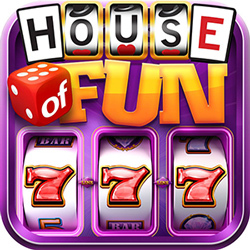 Not for sure the name but it's the one where there's a colossal wins feature and free spins are triggered by 3 or more full columns of HOF, during the free spins the last row it's always coins to make the colossal wins feature easier to hit. Only need to hit 3 coins to activate.